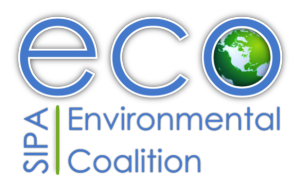 Happy Tuesday ECO members and fans, check out this list of upcoming events! Join the CUCSD team and leading practitioners to learn more about current international cooperation efforts towards sustainable development (SDGs, UN Post-2015 Development Agenda, Climate Chage Negotiations, etc. ), the role of different actors, job opportunities and how Columbia students can engage in these processes. Speakers: Jeffrey D. Sachs, Director, The Earth Institute; Quetelet Professor, Sustainable Development; Professor, Health Policy and Management, Columbia University; John C. Mutter, Director of Graduate Studies, SDEV PhD Program; Professor, Department of Earth and Environmental Sciences; Professor, Department of International and Public Affairs, Columbia University. Speaker: Anne Simpson, Senior Portfolio Manager and Director of Corporate Governance, CalPERS. Discussion with Adrian Lajous, Fellow, Center on Global Energy Policy, and former Director General of Pemex (CEO) and Chairman of the boards of the Pemex group. Register here.More CGEP Events here.